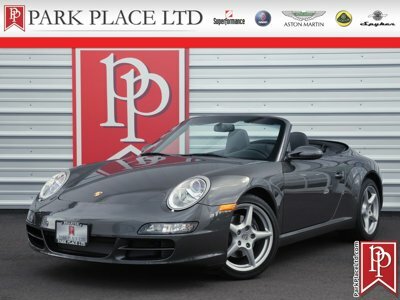 Find a great sale price on this 2006 Lotus Elise at Park Place Aston Martin in Bellevue, WA. This 2006 Lotus Elise is located at our dealership in Bellevue. If you're looking for a great price on this 2006 Lotus Elise or just looking to get an auto loan for the vehicle you want... you've come to the right place! Park Place Aston Martin. 2006 Lotus Elise in Chrome Orange with Black Interior. Only 5,915 miles. Dealer installed OEM Lotus Sport Intercooled Supercharger Kit - Dyno'ed at 250 HP. 6-Speed Manual Trans. Optional 'Lifestyle' paint colour. Sport Package. Lotus Stage 1 exhaust. StarShield protective bra. Carbon fiber interior trim. Forged 'Double-Spoke' alloy wheels. Leather-Wrapped Sport Steering Wheel, Carbon fiber door trim, Air Conditioning, Keyless Entry, Integrated Front Splitter, Integrated Rear Spoiler, Rear Diffuser, Front mud guards, Tinted glass, Dual body-color manual mirrors, Underbody aero cladding, Rear Diffuser, Front/rear body color bumpers, Stainless steel silencer w/dual chrome exhaust tips, Independent front/rear suspension w/Eibach coil springs & Bilstein gas shock absorbers, Power Steering, Lotus/AP Racing Brakes, Anti-Theft System w/Immobilizer, Power Locks, Black carpeted front floor mats. With the 111-series Elise models having been phased out in 2011 and the current range unavailable in the U.S., well-kept examples are HIGHLY sought after and don't remain available long. This is an incredible opportunity to put a well-equipped and well-presented Elise in your garage at great price point. Don't miss out. For more information on this fantastic 2006 Lotus Elise, contact our friendly and knowledgeable sales team.